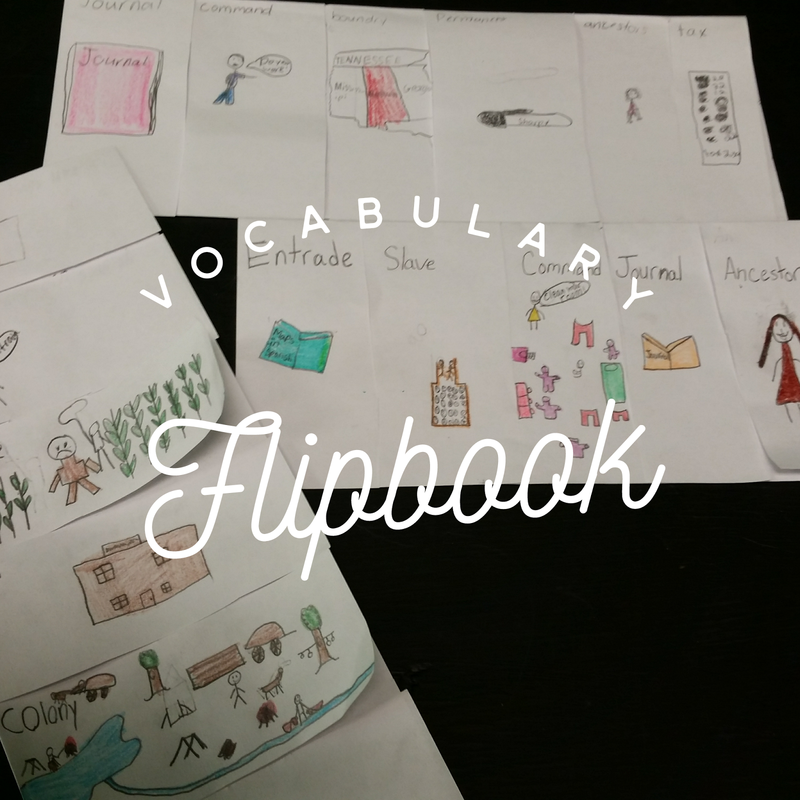 My Week In Review: Vocabulary Flipbook, Run on Sentences, and Free Football Clipart! This week was a busy week, but even so, we had a great week of reading and language arts. 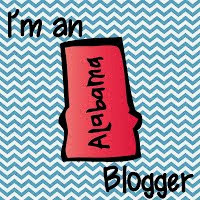 I also had the opportunity to attend a technology training this week. Today, I just wanted to quickly share a few highlights from my week. 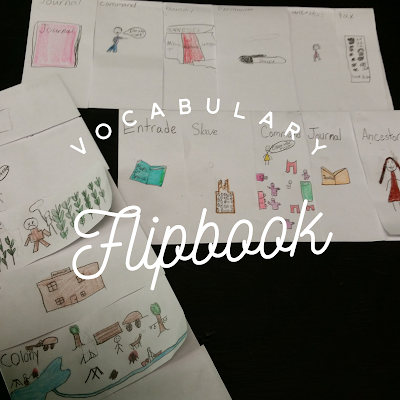 My students created vocabulary flipbooks using their history vocabulary words. I love having students create flipbooks for vocabulary reinforcement and review. They simply wrote the word on the front of a flap and drew a picture. Then, on the inside, they wrote the definition. You can also have students use the word in a sentence. This is not something that I do with all vocabulary words or with every unit, but I like to change things up and have students create these every now and then. It gives students a who enjoy drawing a chance to be creative, and most of the students enjoy creating these flipbooks. 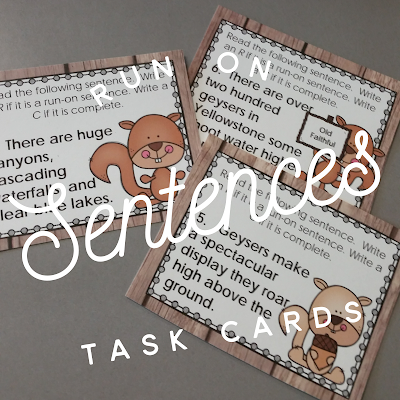 My students are still struggling with run on sentences, and these task cards are a quick and easy way to practice identifying run on sentences. 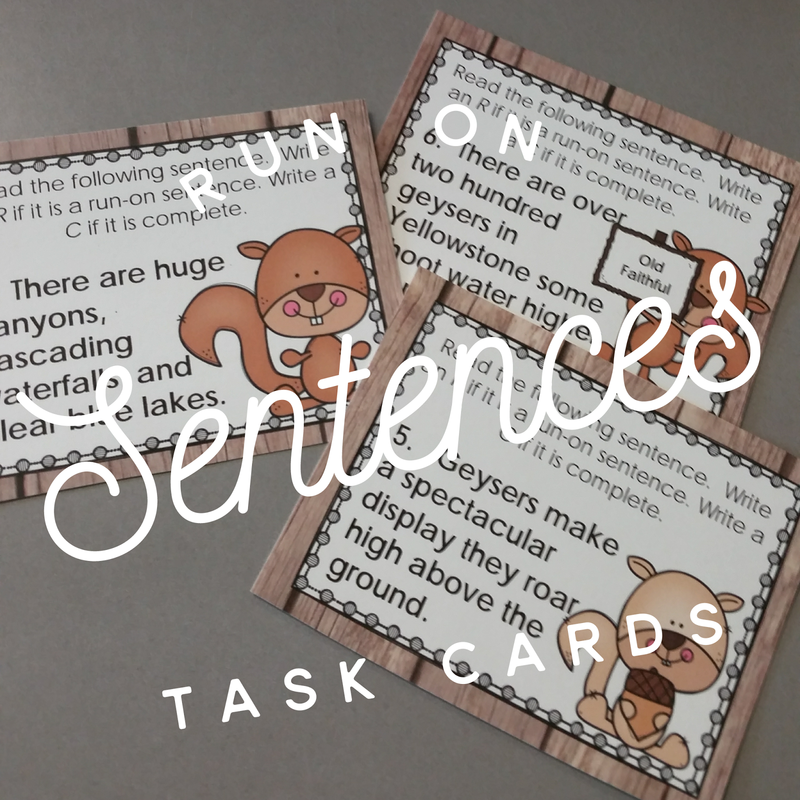 This set of task cards simply require the students to identify run on and complete sentences. This was the first time that we have used task cards to play scoot in my class this year, so this simple set was a perfect set to teach my class how to play. They did a great job! Another fabulous thing about learning to play scoot was that it really was a great exercise in listening skills and following instructions, and my class did great with that as well! 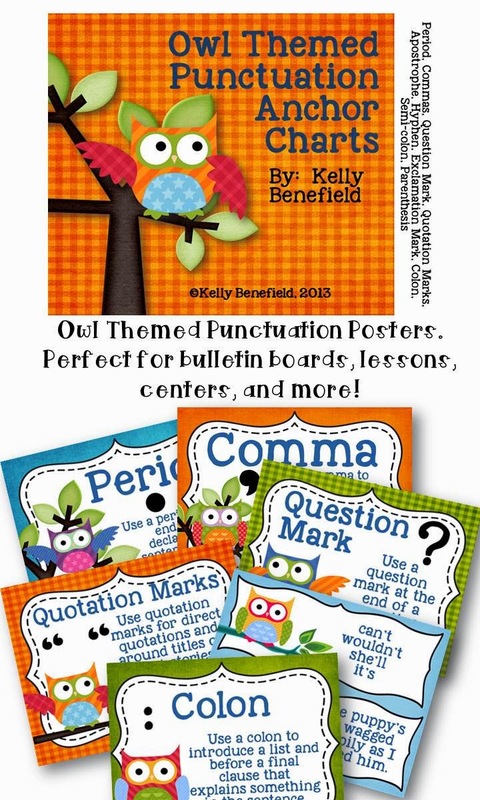 You can find these cute task cards here in my TpT store. 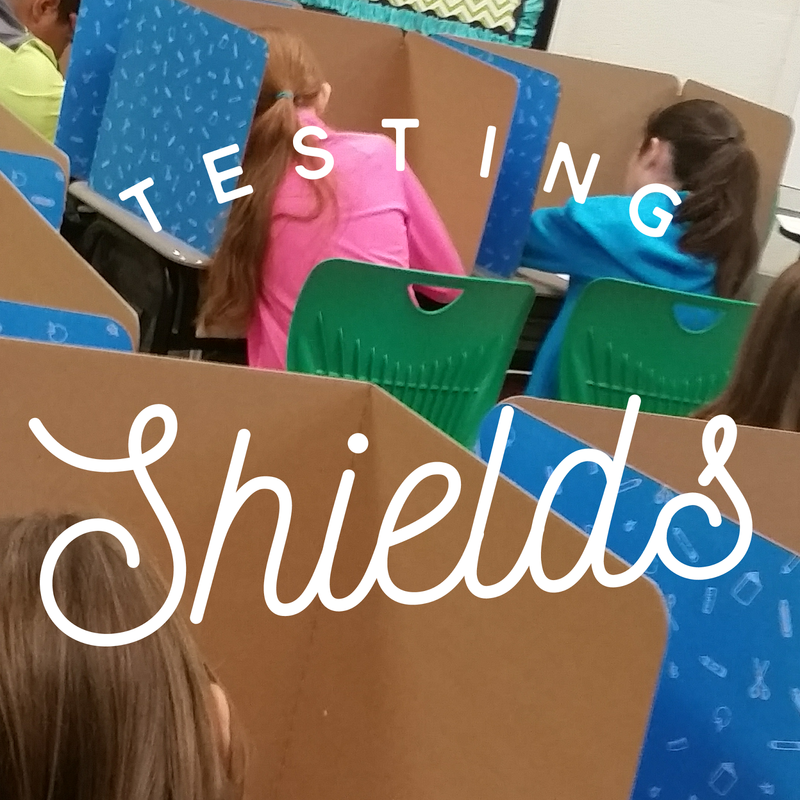 I am loving the testing shields that I purchased at the end of the year last year! (I am in no way affiliated with the company. I just love this product!) They are the perfect solution to desk arrangements with students sitting in close proximity to one another. I also found time to create a quick and easy homecoming door decoration. Just incase you are in need of football clipart, the football can be found for free in my store. 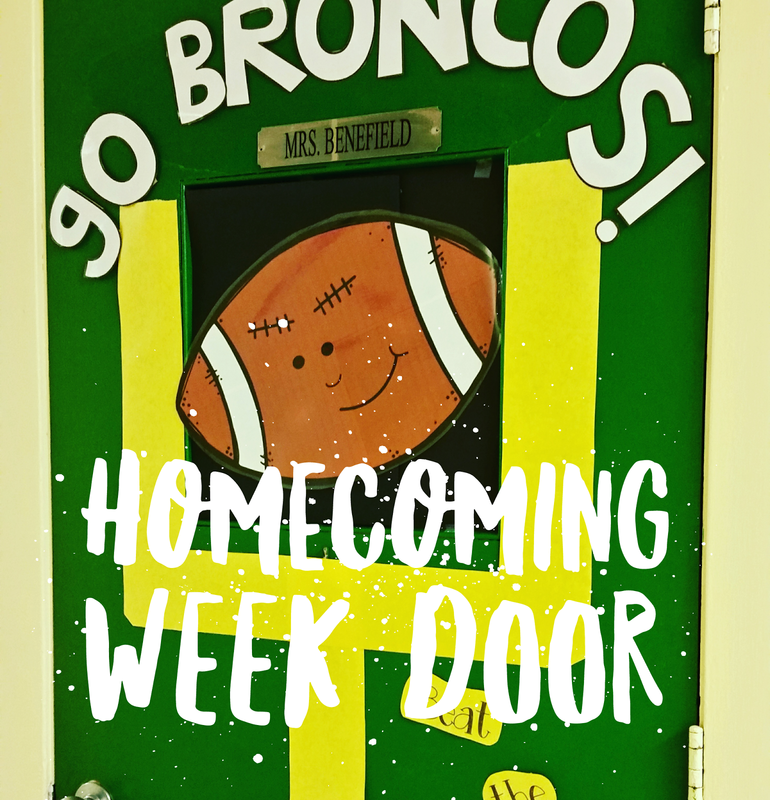 I simply inserted the football clipart into PowerPoint and printed it out in poster size to make it large enough for my door. 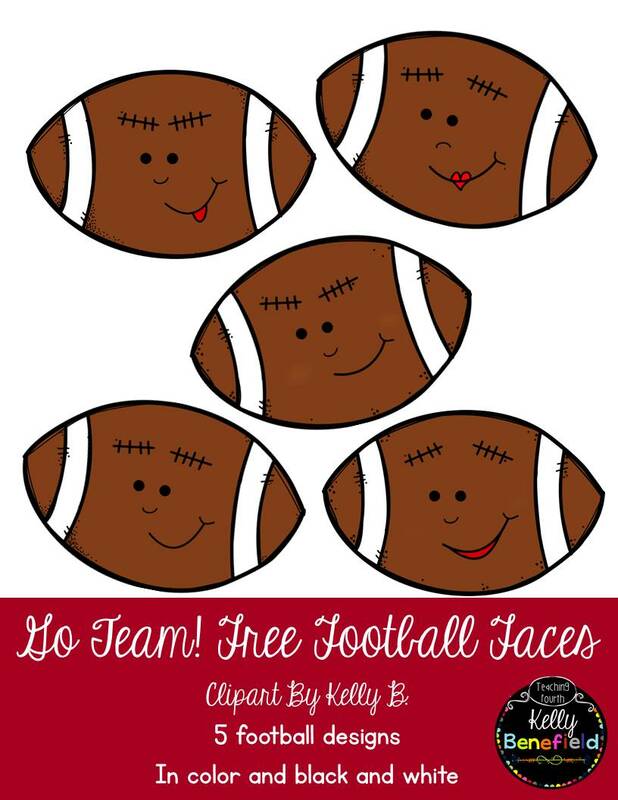 They would be perfect for printing for your students to color this football season, creating bulletin boards, or for creating products for your Tpt store, and they are free! I never post rules in my classroom? I know. I know! This sounds completely crazy! 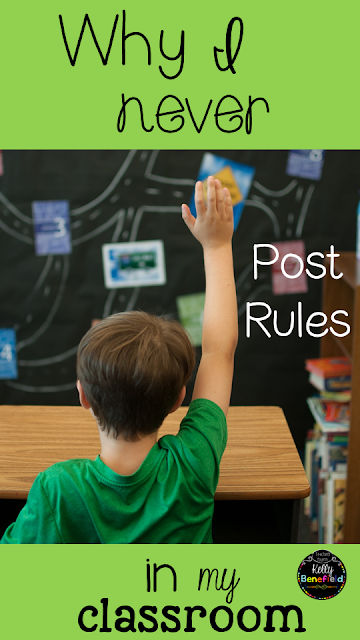 Posting rules is a must in every classroom, or is it? In my early years of teaching, I always posted my 5 rules. They were large and visible on a prominent wall in the classroom. I went over them the first day of school and expected everyone to follow them. Sometimes students did, and sometimes they didn't. When they didn't, there were consequences. I guess my concern was, did I want my students to simply follow the rules, or did I want my students to gain character traits that they could carry with them throughout their lives? About five years ago I removed the classroom rules from my wall, and instead placed motivational posters on a bulletin board. These posters contained sayings that reflected character traits and behavior that I hoped to help encourage and instill in my students. We spent time during the first day of school discussing the meaning and importance of each poster. Throughout the year, we read and referred to these posters often. Although my students weren't perfect and they made mistakes, I must say that motivational posters had a tremendous impact on my classroom. I found that for my students, having motivational posters worked beautifully, and I saw positive effects from using them. Most importantly, I witnessed my students learning to be a respectful, caring community. Because of this, I have continued to use motivational posters each year. 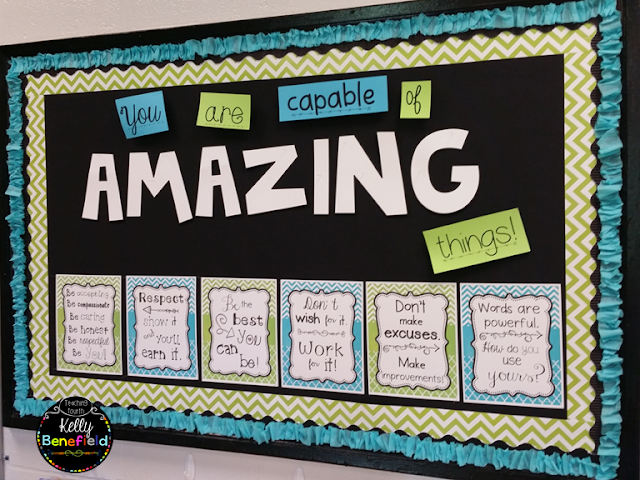 Motivation Posters are a great way to encourage positive behavior in your classroom. 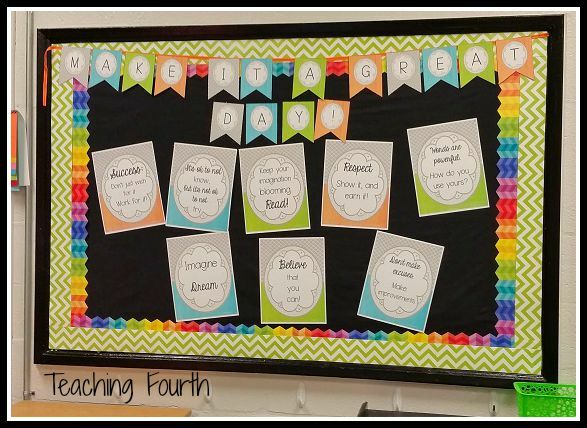 Over the past few years, I have used several different sets of motivational posters in my classroom, and I have created several different sets for my TpT store. My Owl Themed Motivational Posters are one of the top sellers in my store and are still one of my favorite sets. I created these Bright orange, green, and blue motivational posters a couple of years ago for my classroom. I love the bright wood grain backgrounds. 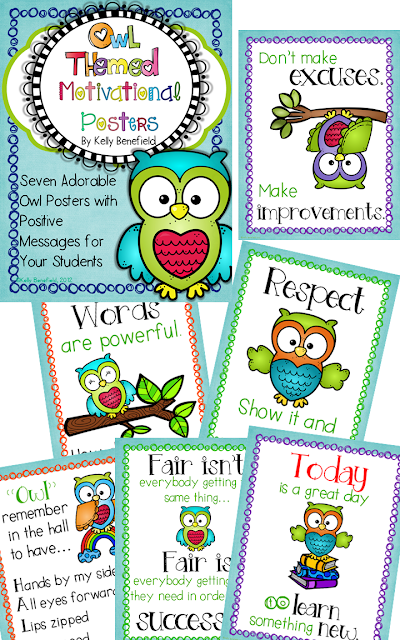 This cute set of Birds and Chevron Motivational Posters would look great in any classroom. I love the posters that I am using this year! These green and blue posters are so bright and colorful. I hope to add these soon to my TpT store. I now have these posters uploaded in my store. You can find them here. This may be my favorite set yet! I have these posters on my bulletin board next to my classroom door. My students and I refer to it often. How to Find My Clip Art in My Store and Happy Labor Day 20% Sale! I know that we have only been back to school for a few short weeks, but after 25+ years of teaching, I must admit that I always look forward to Labor Day. It always seems to be the perfect refresher after the busy and hectic back to school season. I hope that you will be able to spend today relaxing and spending time with your family. I know that my plans for today. If you have a chance to stop by my TpT store, everything is on sale 20% off today and tomorrow! Today would be a great day to add to your border collection. Which sets are your favorite? 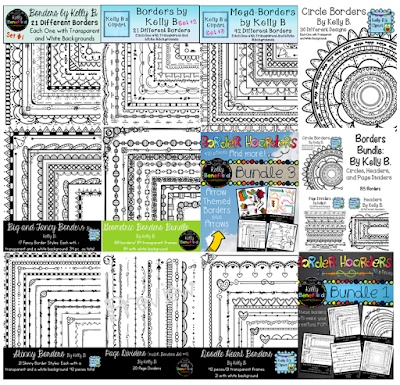 I love my Borders #2, Doodle Heart Borders are dear to my heart, and my Border Hoarders #3 (Arrows) set are all some of my favorites! If you have trouble finding my clipart in my store, let me show you an easy way to locate it. There are a couple of ways that you can access my clip art in my store. 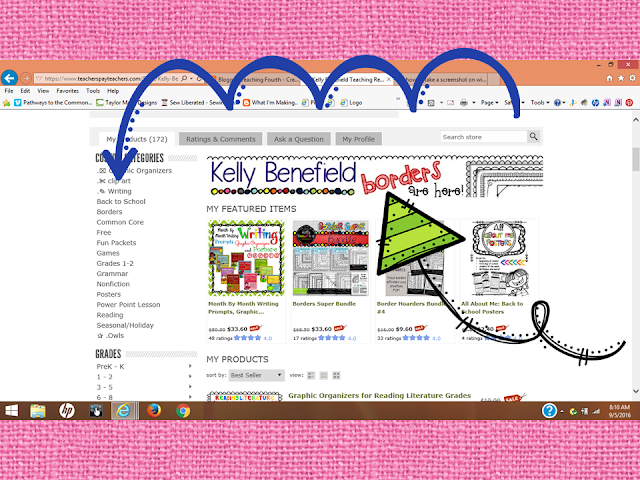 The first way is to click the "clip art" custom category to the left of the screen (blue arrow) or you can simply click the "Kelly Benefield borders" header at the top of the store (green arrow). Both of these will take you to all of my borders and clip art in my store. If you are looking for anything else in my store, graphic organizers, PowerPoint Lessons, Writing, etc., you can access these as well using the custom categories on the left. I hope this helps you navigate my store a little easier.